Cloud computing is one of the most important trends in the IT industry. It ensures that computing power can be obtained just like electricity or water. Cloud Computing Leaders are not many in number. 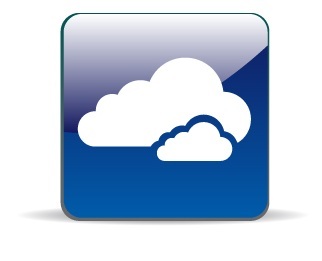 Only few Brands revolutionized Cloud Computing either offering as a free service or at a lower cost. In this article, we will discuss about the brand leaders of Cloud Computing Leaders are not many in number. Only few Brands revolutionized Cloud Computing. In an separate article we have discussed about the free cloud providers. Google is the main brand among the Cloud Computing Leaders who offered Free Cloud based apps like GMail, Picasa and almost all their apps are in the cloud. Cloud Computing Leaders who have free e-mail services can be added to the list. Some free Cloud storage providers really done a good job. Oracle is mentionable among the Cloud Computing Leaders for introducing an environment for a Java application, Rackspace uses some technologies of Oracle. Amazon has introduced several patent technologies including the popular Cloud Drive and Cloud Player. IBM always pioneered computer technologies and Cloud Computing is not an exception. Other Cloud Computing Leaders are Dell, Microsoft etc. Rackspace alone is leader among the cloud computing leaders on the server and platform provider. Among the Cloud Computing Leaders, Rackspace is mentionable as Richard Yoo started its journey with a small ISP. Rackspace has several patents and has introduced free Cloud DNS. Rackspace Greenspace initiative is one of the mentionable initiative among the Cloud Computing Leaders, which started with recycling a Mall. As most are aware of, Microsoft should be mentioned again among Cloud Computing Leaders for providing free Cloud Space and first thinking to integrate with an Operating System. However, the proper integration was not from any Cloud Computing Leaders, but from Apple – their iCloud. This Article Has Been Shared 2048 Times! Cite this article as: Abhishek Ghosh, "Cloud Computing Leaders – Brands Who Revolutionized the Cloud," in The Customize Windows, October 30, 2011, April 25, 2019, https://thecustomizewindows.com/2011/10/cloud-computing-leaders-brands-who-revolutionized-cloud/.